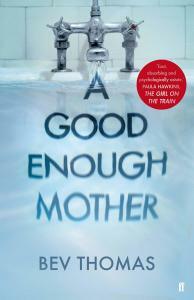 As Marc Pastor himself admits, it’s hard to talk about this novel without giving away some of its surprises, but it has many virtues, among which cross-genre appeal, the originality of the characters and the elegance of its prose stand out in my opinion (with a special mention for the excellent translation by Mara Lethem). 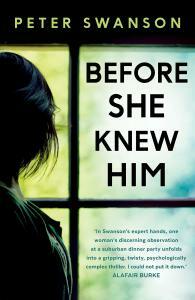 Marc Pastor works as a crime-scene investigator, yet this is no standard crime novel. The reader is plunged into a blend of true crime and thriller fiction, sprinkled with Gothic fantasy and garnished with adventure scenes bordering on the Western (including a shoot-out worthy of the OK Corral – though with a difference I wish I could tell you about!). A serial vampire is seemingly on the loose in Barcelona, kidnapping children of prostitutes and destitute families and feeding on their blood before slaughtering them. Not a common or garden investigation for cynical Inspector Moises Corvo and his ulcer-prone partner Juan Malsano, yet one in which they launch themselves with gusto. They move from the city’s gutters to the playgrounds – both innocent and perverse – of the rich and famous, causing considerable havoc in both and being eventually stone-walled by the police top brass. But such is the evil that, quite literally, oozes from the killer’s deeds, and so defenceless are the victims, that Corvo cannot let go, and he and Malsano will bend all rules and put their safety at huge risk to put an end to the horror. 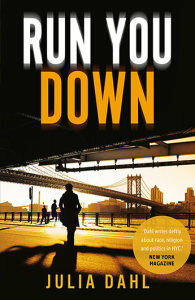 The beauty of Pastor’s treatment of this material lies in his ability to render gruesome scenes or highly-charged atmospheres with a pithy, spare prose worthy of Simenon. Not a word more than needed, and just the right ones for you to scent the rottenness of Barcelona’s underbelly, or feel the anger that drives Inspector Corvo so relentlessly. Corvo is a cop who’s neither blemishless nor orthodox: he has his vices and makes mistakes but he has the cojones to stand up and be counted. He reminds me of Rankin’s John Rebus and Krajewski’s Eberhard Mock, of whom he’s a near-contemporary, but he is absolutely his own man and, quite simply, a brilliant character. In fact the list of great personae in this novel is long, and I will only mention two other: the evil-personified, whore-next-door that is Enriqueta Martì, who, alas, was a real person, and whose obsessions Pastor paints so adroitly, and her occasional ‘helper’ Blackmouth: a wretched youth as feckless as he is coarse, an unredeemed Quasimodo and a relatively ‘minor’ character, yet a sad emblem of the ugly waste that ignorance can wreak on the young. 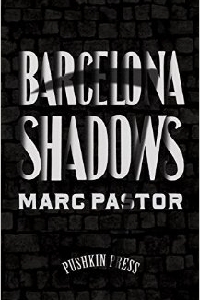 Another example of Pastor’s wry eye – often tinged with black humour – for the realities of life, of which ‘Barcelona Shadows’ is so satisfyingly full.